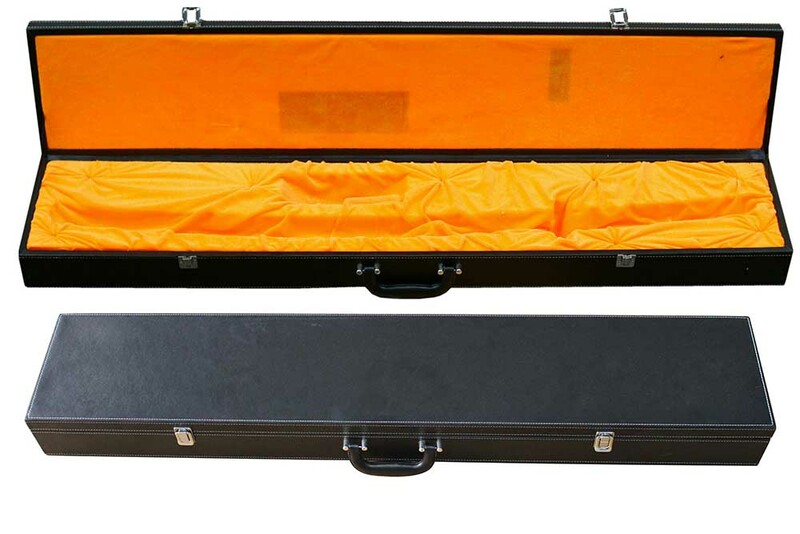 Especially good to add that extra special touch to a gift sword, this is the premium quality leather covered, orange lined sword case to give your Katana an extra touch of class. Leather lined case carry handle and clasp locking mechanism. Orange Faux silk lining over polystyrene form fitting padding. Has a space for a cleaning kit (sold separately).